We want you to be happy! That’s why we are on a mission to create beautiful custom stoneware you will love for a lifetime. Because we're dependent on our Earth’s natural resources of clay, water and heat, we are protective of our planet. Therefore, we incorporate environmental excellence that surpasses industry standards. 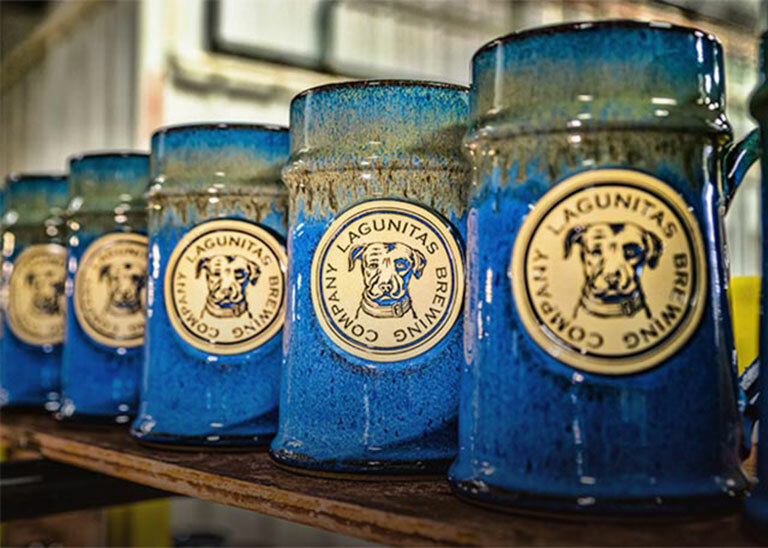 Redefining the pottery industry by placing employee safety and long-term health at the forefront of daily operations, while handcrafting a product we truly love. The safety of our employees and the environment is paramount. So, we conscientiously choose equipment and process focused on safety, environmentalism and quality. Above all, we go the extra mile for exceptional products and superb customer service. To get there, we use loads of teamwork and that famous Midwestern work ethic. 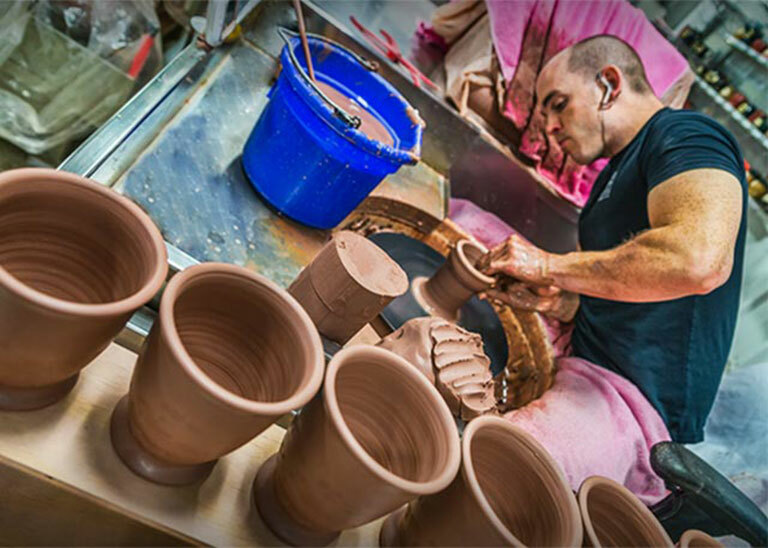 Old world craftsmanship meets cutting-edge smart technologies where the true beauty of pottery is handmade with precision and speed. Why do people love our stoneware and use it everyday? 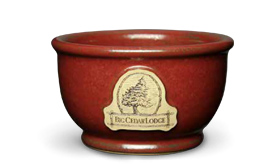 Our stoneware combines the perfect shape, quality hand-feel and unparalleled craftsmanship. People often associate good memories with these mugs. It's easy to see why. 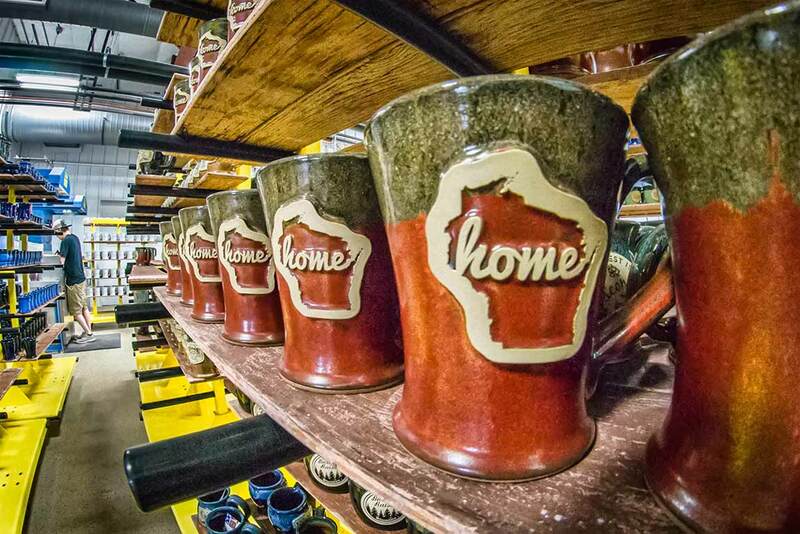 Stoneware is a gift or purchase that makes a lasting impression. Add your custom logo and message, and each piece becomes uniquely yours. 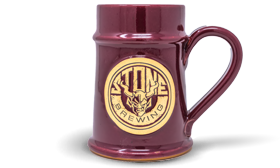 Create YOUR custom mugs in a few easy steps. Great products! 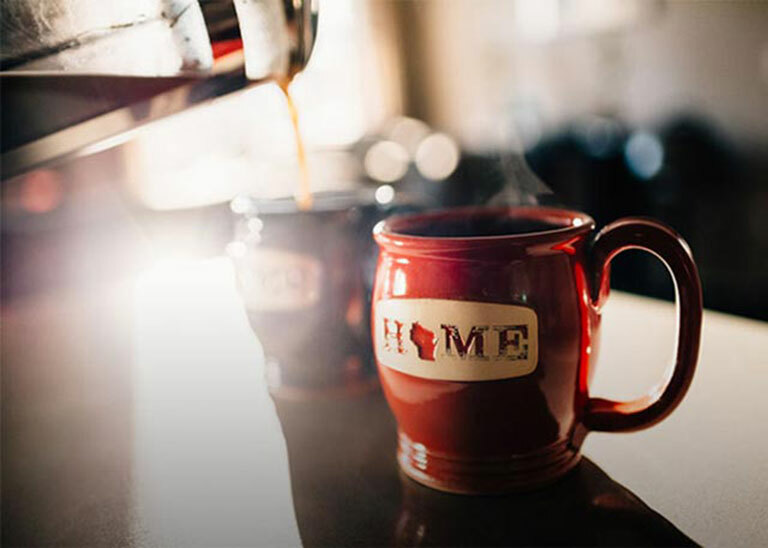 My coffee shop has been ordering mugs from them for years we love them and so do our customers! Always great quality, and great customer service! Our stoneware arrived yesterday all safe and sound. It is amazing, we ripped into the boxes right out on the gift shop floor to see what they looked like and we were not disappointed! They are wonderful and we are very excited to get them out onto the floor today or tomorrow. Thank you so much for your efforts in helping us get the design just right! What a great company and even better quality product! 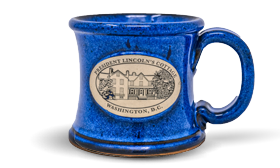 Sunset Hill designed and made coffee mugs for our Lake Association fundraising efforts. We sold out in 2 days and had to put 2 extra orders in! I couldn't be more satisfied with them. This beer mug tops all of them in my collection. The first use blew all of my mugs away. It keeps my beer ice cold to the last drop on a hot and sunny summer days in south central Wisc. with no issues whatsoever. I would like to give a shout out to my buddies at Sunset Hill Stoneware. I reached out to Tom to help me on a project for my cousin who was diagnosed with Pancreatic Cancer 2 months ago. Tom and his team knocked it out of the park like they always do. Thank you very much!